There have been a number of intriguing articles written over the last few weeks about one of the key concepts, and most criticised features, of roguelikes: permanent death, often shortened to permadeath. This is the notion that should the game avatar die, the player should start from the beginning of the game. Permadeath is the reason why it can take years to beat certain roguelikes - in my case, I have never won a game of Angband or any variant of it in over ten years of playing - and why so many people initially turn away from the genre. But in a world of quick saves and regenerating health, permadeath is the one compelling design feature that you need to appreciate to understand the genre. The challenge of playing Far Cry 2 with one life made by Ben Abraham of Sometimes Life Requires Consequence has been picked up and commented on by lead designer Clint Hocking. He goes on to explore the conflict between what Ben is attempting and the narrative losses that Clint designed into the game. In Infinite Caves, Infinite Stories, Anthony Burch explores what makes Spelunky so compelling - a freeware mix of platformer and roguelike, one of the nascent roguelike-likes if you will - and identifies a mix of three elements: 'randomized [...] levels, emergent gameplay and permanent death'. Think of these as three legs of the roguelike game design triangle - each of which cannot stand unsupported without the others. Randomized levels, built from procedural techniques or randomly chosen pre-assembled components, is what you immediately think of when talking about roguelikes. But randomized levels feature in the RTS genre without permadeath - but on reflection, the RTS genre does intra-level permadeath: it is possible to lose and restart on a single map while keeping progress between maps. It turns out that many genres have permanent death and restart as a core component of the game - arcade fighters, horizontal and vertical scrolling shooters, strategy games - in fact, permanent death is only seen as a negative in narrative based games, especially those like RPGs that feature accumulation of resource over time, and it is roguelikes that are unique out of these types of games in continuing what started as an arcade tradition. What almost all other genres featuring permanent death have in common is that there is a resource accumulated from game to game: player skill. Improved twitch resources required to dodge an ever increasing swarm of bullets or rote memorisation of the patterns of enemy waves, increased understanding or yomi of the opponent's mind - all of these attributes can be improved and reused in repeated play. But with roguelikes, it's not obvious what skills are being developed. Certainly not reflexes, and with a single player game, no understanding of an opponent is required. Puzzle solving is closer to the process, but puzzle solving in an environment where the board is reset differently every time, and the pieces are sometimes unfairly tipped against you. I'd argue that there are two important but distinct phases of skill development that in roguelikes: discovery of emergent game play and the trade off between exploitation of resources against evasion of risk. Emergent game play in most roguelikes rests on a foundation of the combinatorial explosion caused by designing verbs and objects to maximise the number of verbs which can interact with each object (and implicitly, through throwing, falling, collisions and other game 'physics', maximising the number of ways objects which can interact with each other). The process of learning the emergent rules of a game with permadeath and randomized levels transforms the game play from a fixed author led narrative into a meta narrative about the experience of the player learning through repeated and hopefully interesting and unique failure. As the developer of Dwarf Fortress puts it 'failing is fun' - provided you don't have to repeat the same sequence of narrative events each time you do. But why does this 'failing is fun' approach to learning not work in a game where the player's progress can be saved at any point? The problem with save games is they capture the wrong sort of progress. The player may have made a critical error of judgement, and failed to acquire a necessary resource or game play skill, somewhere in playing the game prior to saving the game state - and neither the player nor the game designer has any way of knowing this. This is why so many games are designed with gated progression: discrete levels over which a player has to demonstrate supposed mastery of a particular skill. But if a skill is only significant for a subset of the total game, then why have that skill at all? Why not release a series of mini-games instead? The only guaranteed point at which the player is open to all lessons is at a complete reset of the game state. This does not necessarily have to be a complete restart of the game: it is possible to save player progression provided that all players will end up in exactly the same game state at some point during play. This could be the start of a or new level in a puzzle game which resets all the pieces in play or a new map in an RTS which does not allow units to be kept from previous successes or failures. Without randomized levels, it is possible for a player to progress simply through rote learning, without having improved the necessary skills. More importantly, repeating the same sequence of actions and narrative sequences is frustrating and ultimately unfulfilling. Think of each play through of a game as being set an exam with a pass or fail mark. If the levels are not randomized, it is possible to sit the same exam over and over, memorising the answers to fixed questions as a method of passing, but not an indication of underlying ability. The process of quick saving and reloading is akin to being able to guess every answer to each question and trying again if you get the wrong result. Varying the rarity of objects, seen in genres such as MMOs and collectable card games as a callous way of manipulating players to endless grind, instead becomes a useful way of extending the player enjoyment of this learning process, ensuring that some learning situations occur less frequently than others and consequently remembered more vividly. The requirement to identify items through using them common to many roguelikes also helps extend learning, in that the player is not necessarily aware of what resources they hold at any time. But - even despite my best efforts in Unangband - it is possible to discover all possible emergent properties in most games (not quite true in all cases: self-evolving systems like Galatic Arms Race will prevent this in the future, and the pimpest plays in Starcraft have continued to evolve over that game's lifespan) - and once learned, an emergent property is just another line in a FAQ. In an information complete game, where the player has complete knowledge of the rules, the processes of exploitation and evasion become primary. Take a typical game of Rogue. The player travels through a number of rooms spread across multiple dungeon levels, accumulating resources as they do so. But as the player descends in the dungeon, the level of threat from monsters increases, exponentially so, without a consequent increase in the rewards for defeating them, so that in the last few levels it is better for the player to evade encounters with monsters and conserve the resources he has accumulated earlier in the game, than attempt to stand his ground and fight. This process can be modelled as follows, where the horizontal axis is the playing time, P indicates the overall accumulated power and R is the risk at any point: The exploitation phase of the game occurs when the player has more power than the risks they can encounter - the evasion phase of the game occurs when the opposite is true. In reality, the both player power and risk change in step wise increments, and because resources can be lost as well as gained, it is not necessarily a consistently upwards progression. And most roguelikes have a combination of attacks by monsters which can only be avoided by the player having specific resources to resist these attacks. This complicates the picture, because at any point there is a multi-variable level of risk depending on the player's location, and known and unknown threats in the region the player is located. The key player skill then becomes recognising when the player is in an exploitable situation and taking advantage of the opportunity to collect useful resources, versus an evasion situation, where the player should continue moving and avoid any imminent threats. This reaches a logical conclusion through the what is known in Angband as diving, where a player descends as quickly as possible through the dungeon, stopping only when exploits obviously present themselves - a technique very similar to speed running non-procedurally generated games. This works in Angband because the rewards deeper in the dungeon are progressively more valuable than earlier in the game and so it is always worthwhile going deeper even as the risks escalate. Similar behaviour occurs in Left4Dead, where quickly running through a level is almost always a more effective technique than going out of the way to find the limited additional resources hidden on the map. On the face of it, exploiting is grinding like behaviour: techniques from Angband such as worm farming to quickly gain experience through killing a self-replicating monster strongly resemble grinding monsters for experience in MMORPGs. But what distinguishes exploiting from grinding is two-fold: limitation of exploitable resources and permadeath. Grinding in a game with permadeath still has an element of risk - that of dying through boredom or statistical happenstance. At any point in time, there should be a non-zero chance that the player will die, and lose all the effort accumulated through relatively safe resource accumulation. More importantly, any time spent grinding at an early phase of the game, is time wasted not playing at the maximum level of reward vs. risk later in the game. This is a design balancing act: the player must be made aware that progression escalates reward as well as risk, as well as ensuring that the player is never able to accumulate all the necessary resources required to win the game through grinding. The balance in Angband is maintained by preventing the player from grinding unlimited resources for equipment, and ensuring that a player with maximum experience but no equipment will quickly die. (This is not quite true: the technique of stair scumming allows equipment grinding, but an honour system encourages the Angband community not to take advantage of this.) The use of explicit timers, such as food in Rogue, and the ghost in Spelunky, can also ensure that the player is pushed onwards instead of grinding any exploitable situation they find. Permadeath adds another interesting facet of the exploitation vs. evasion and progression vs. grinding balance. 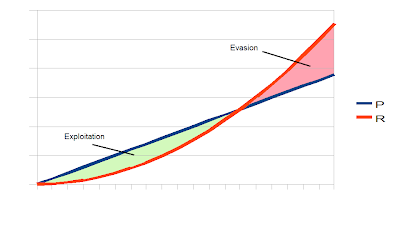 Provided progression through the game brings greater rewards, and the player is able to evade threats at the current level of risk, there is no incentive not to progress to a higher risk area. The rewards are comparatively higher for same the time investment in the game, and the increased risk will either be successfully evaded or result in permadeath, which is the most time efficient way of highlighting the player has judged the level of risk incorrectly. because of the lack of fix requirements to complete the game. Randomized levels require some form of grinding be present in order to guarantee the game is winnable. This is because the player may experience either a resource poor series of levels or a string of bad luck which depletes a high level of resource, through no fault of their own. The extent to which grinding allows the player to alleviate this bad luck is another design decision. It may be that some games are unwinnable is a viable choice here. 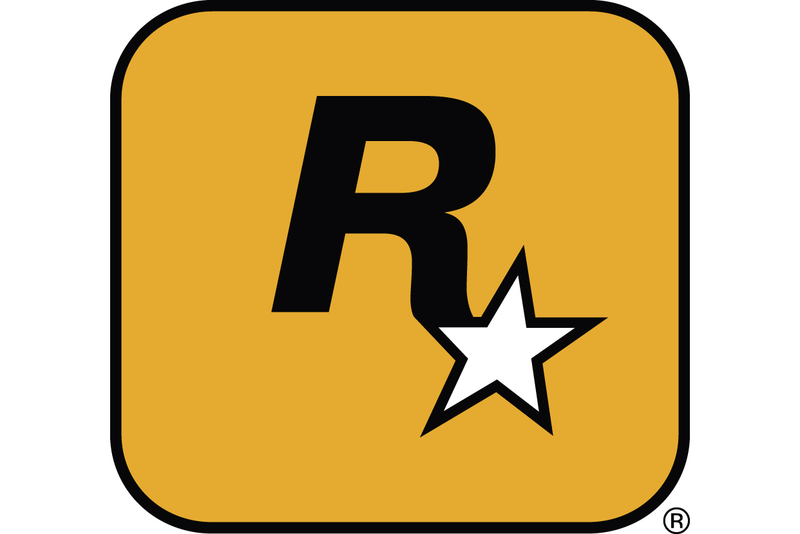 At the same time, emergent game play through object interaction maximises the chance the player will have some resource available to counter any randomized situation that they find themselves in. At any point in time, the player is faced with the decision of fight or run. This is answered by a careful weighing of the odds, what resources does the player currently have, what is known about those resources, and what threats are known and unknown. Information becomes a precious commodity in a game with randomized levels, and permadeath is used during the learning phase of the game to provide a final lesson in determining if the player understands all the variables of every situation they find themselves in. Once the player understands the game well enough to win it, permadeath is a final backstop to the ever tightening vice between progression and risk, one technique of ensuring that the player does not endlessly loop in a grind. The question becomes, is this process of learning worthwhile? Is an intuitive understanding of multivariate analysis over a complex risk topology subsumed into a flight or fight instinct something worth playing? Whether this is true is beyond the scope of this article, but I would argue that this skill is something that makes us human.